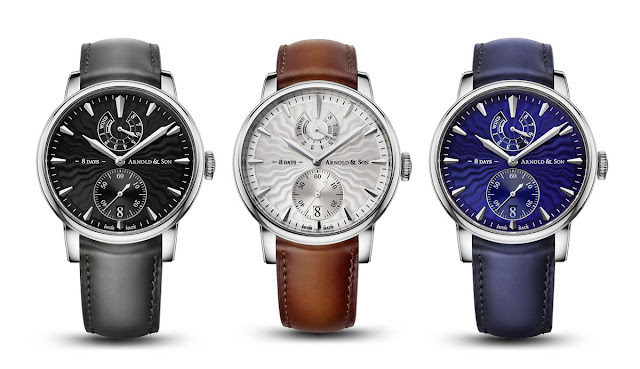 Part of the brands's Royal collection, the new Arnold & Son Eight-Day Royal Navy took inspiration from British marine chronometers of the 18th century and two of their typical features, the power reserve display at 12 o’clock and the "large" small seconds sub-dial at 6 o'clock. 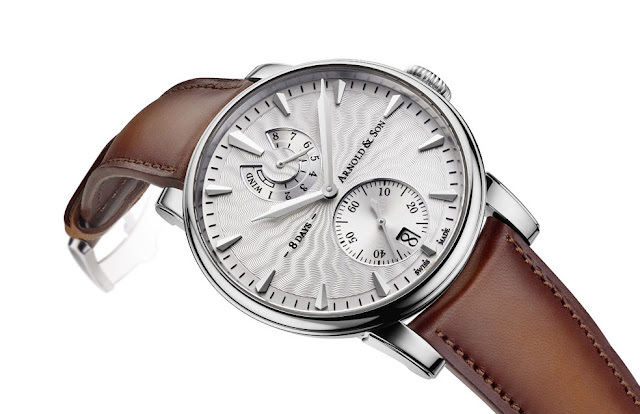 The new watch is available with a choice of three guilloché dials in different colours: silver grey (ref. 1EDAS.S01A.D135A), black anthracite (ref. 1EDAS.B01A.D134A) or the shade of royal blue typical of the brand (ref. 1EDAS.U01A.D136A). 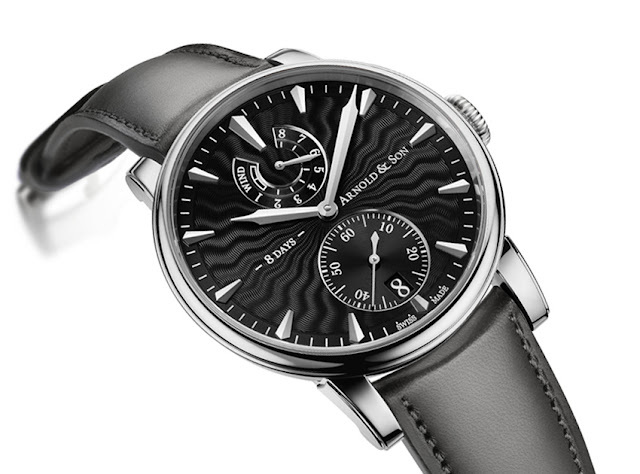 The colour of the date disc matches the colour of the dial. The 43 mm x 10.7 mm stainless-steel case houses the new hand-wound A&S1016 calibre beating at 21,600 vibrations per hour. 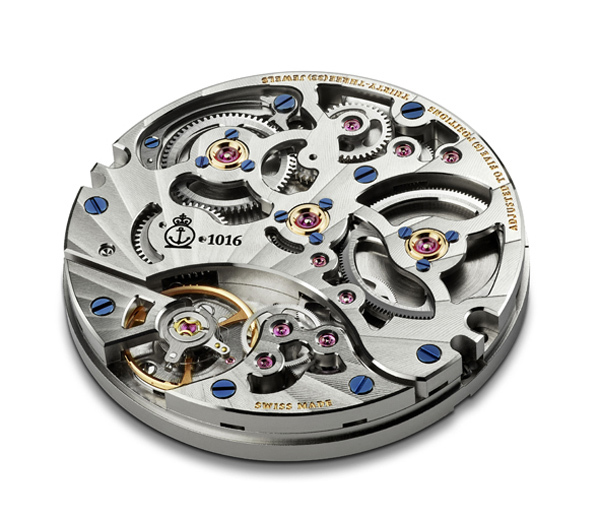 Equipped with a highly efficient twin barrel, this new movement features an eight-day power reserve and comprises 242 parts, including 33 jewels. 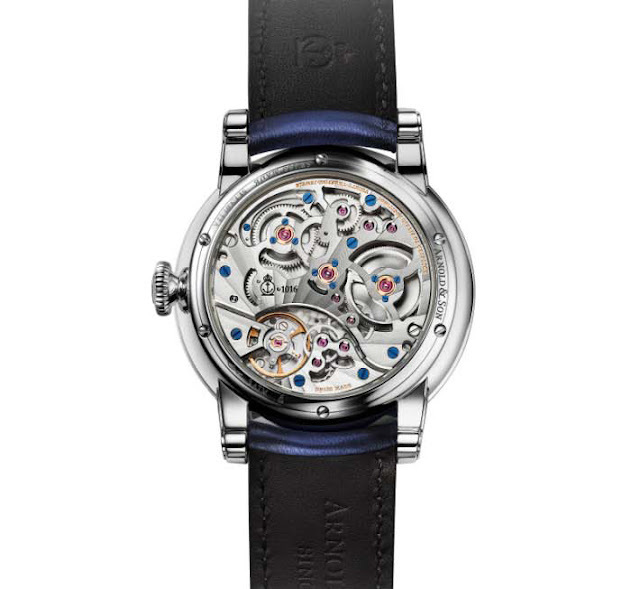 Visible through the transparent case back, this palladium-treated nickel-silver movement is meticulously finished and includes skeletonized and chamfered bridges with polished edges, Côtes de Genève rayonnantes and fine circular graining, circular-grained wheels, and blued screws with polished and chamfered edges. 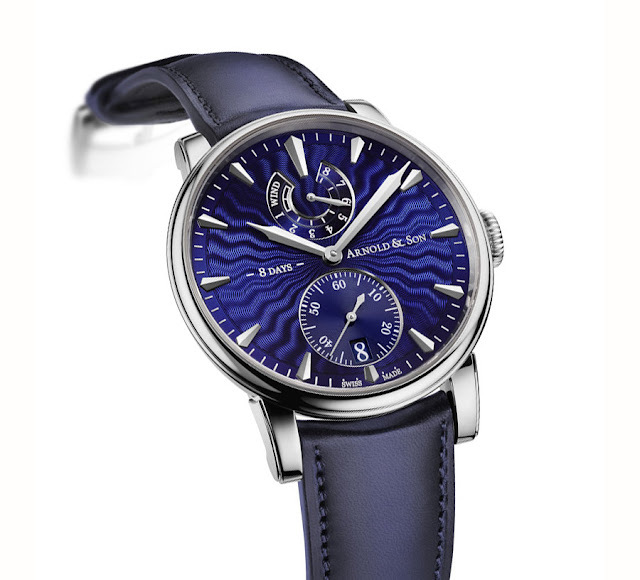 Arnold & Son - Eight-Day Royal Navy. Part of the brands's Royal collection, the new Arnold & Son Eight-Day Royal Navy is available with a choice of three guilloché dials in different colours: silver grey (ref. 1EDAS.S01A.D135A), black anthracite (ref. 1EDAS.B01A.D134A) or the shade of royal blue typical of the brand (ref. 1EDAS.U01A.D136A). the Arnold & Son Eight-Day Royal Navy has a price of Swiss Francs 12,200 before taxes.